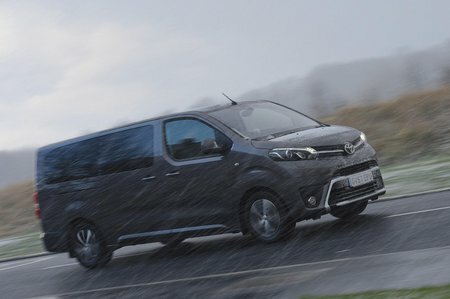 Toyota Proace Verso 2.0D Family Compact 5dr 2019 Review | What Car? What Car? will save you at least £2,184, but our approved dealers could save you even more. This trim is a bit plusher and has more safety kit (automatic emergency braking is standard). You get alloy wheels, a 7.0in touchscreen with sat-nav and a DAB radio, auto lights and wipers, dual-zone climate control, a head-up display and keyless entry. Comes with eight seats and available in Compact and Medium lengths.